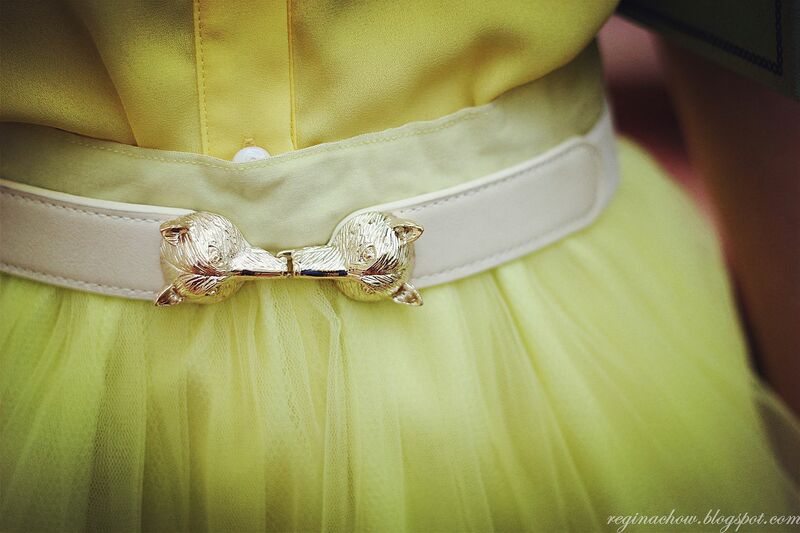 Canary yellow shades are the perfect pick-me-up for dreary days. These eye-popping hues have an uncanny ability to lift your spirits and put you in a cheery mood. I was in the mood for yellow one gloomy afternoon and that gave me the inspiration to put together this citrus themed ensemble. Colour aside, textures and embellishments are unique features that complete an outfit. If you have been following my outfit posts, it probably wouldn't take much for you to guess that I have a soft spot for pearls, beads and tulle. I have a penchant for tulle skirts and I probably have at least 5 in my collection. Tulle has a dreamy, fairytale-like quality that is absolutely enchanting. As I was going for a more preppy look, I paired this romantic tulle skirt with a capped sleeve button down shirt instead. 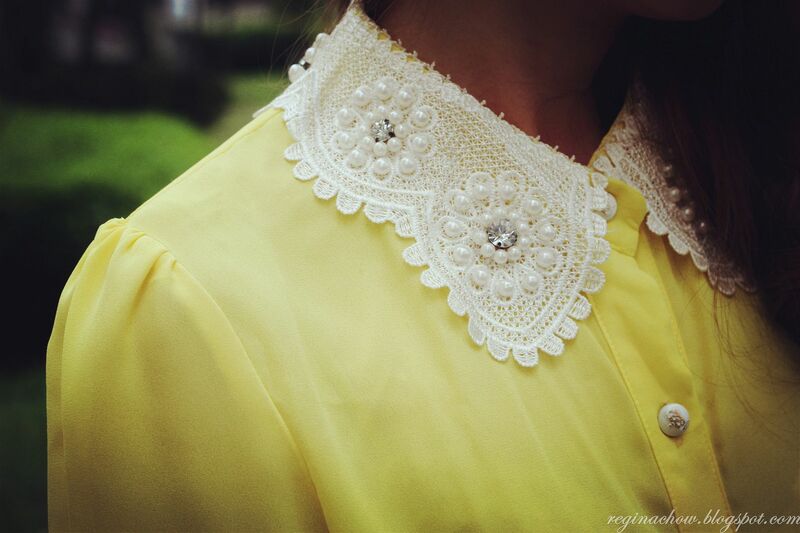 The beautiful embellished collar is the highlight of the shirt. The dazzling diamontes, dainty pearls and intricate lace are a lovely sight to behold, don't you agree? Finally, here are the finishing touches to the outfit, namely a thin white belt with gold plated wolf accents and kitty socks in complementary neon hues.